How to manage your money in Iran? Traveling to Iran, like any other country, comes with some preparation. One of the essential questions to consider before your upcoming trip is the one about money; ‘Can I use my bank card in Iran to withdraw money?’ A quick search on the internet is likely to result in a hard ‘No.’ Because of sanctions against Iran, the country is not connected to the international banking network. Making it impossible to use your visa, master-card or regular banking card in Iran. So how do you make payments in Iran? 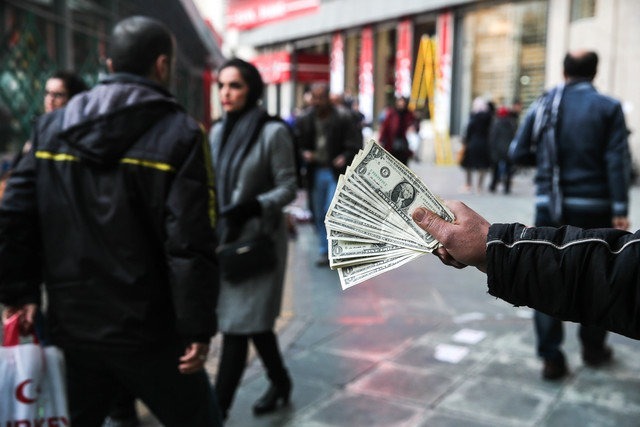 While carrying huge amounts of cash and exchanging them in Iran might seem like the only option. There are other ways to manage your money whilst traveling in Iran. 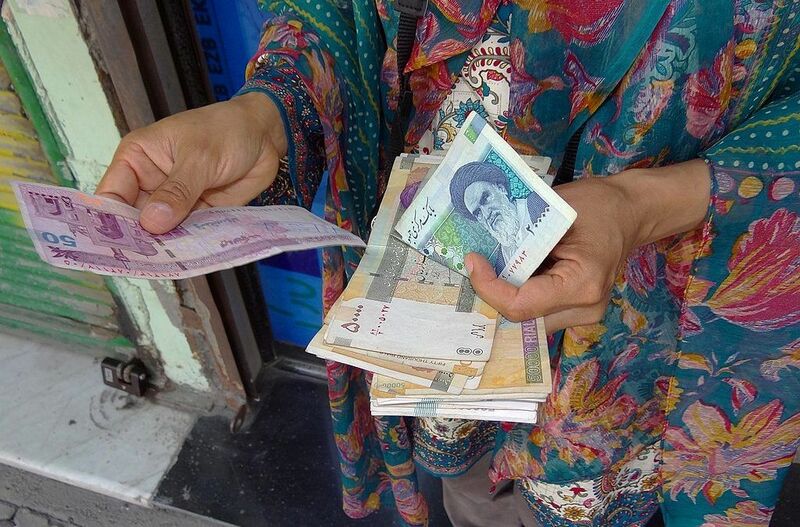 Keep on reading to find out everything about money in Iran; from exchanging foreign currency against bank-rates and market rates to the three options tourists have to manage their money in Iran. As well as the difference between Iranian Rials and Toman. So that, by the end of this article, you know everything you need about money and money exchange in Iran. Exchanging foreign currency; Official and unofficial exchange rate. Before digging into exchanging foreign currency in Iran it’s important to understand there are two ways to exchange money; through the fixed ‘official bank rates’ set by the Central Bank of Iran. 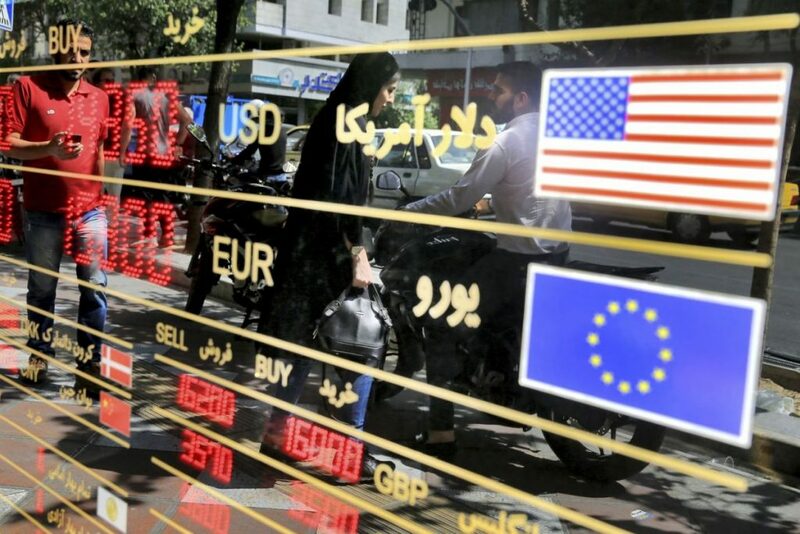 And through the unofficial ‘Market Rate.’ While the market was shut down in April 2018 due to new sanctions and a plummeting value of the Rial, the Iranian government has now lifted that ban. Allowing you to exchange your foreign currency freely between ‘official bank rates’ and ‘the market rate.’ As the last option always offers a much higher value, it’s best to exchange your foreign currency against the market rate in exchange shops. Different from what many people think the ‘Market’ is not some sketchy situation where you trade with dealers in dark alleys. Instead, it’s done in licensed exchange shops spread around the city. Read more about where and when to exchange your cash later in this article. Is it really impossible to use international bankcards in Iran? Unfortunately due to sanctions Iran is not connected to the international banking system. It is therefore impossible to use your international bank card. 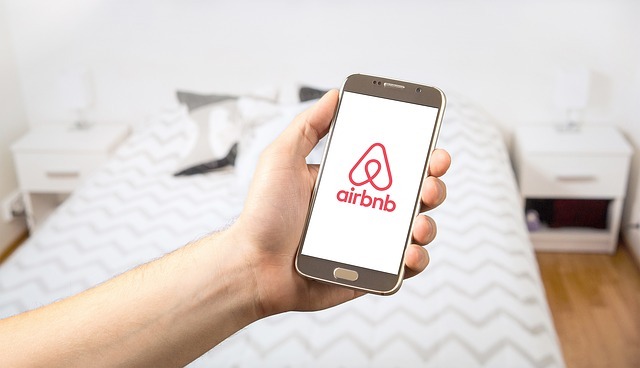 Although some fancy hotel websites and a couple of high-end carpet shops do accept visa and/or MasterCard transactions, this is highly exceptional. And definitely not something to rely on! Similar to international banking cards, money transfers are also sanctioned. As a result, you won’t find any organization such as Western Union or Moneygram in Iran. Only in case of emergency, it’s possible to transfer some money through the banks of Iran. But only against high costs and after a lot of trouble. 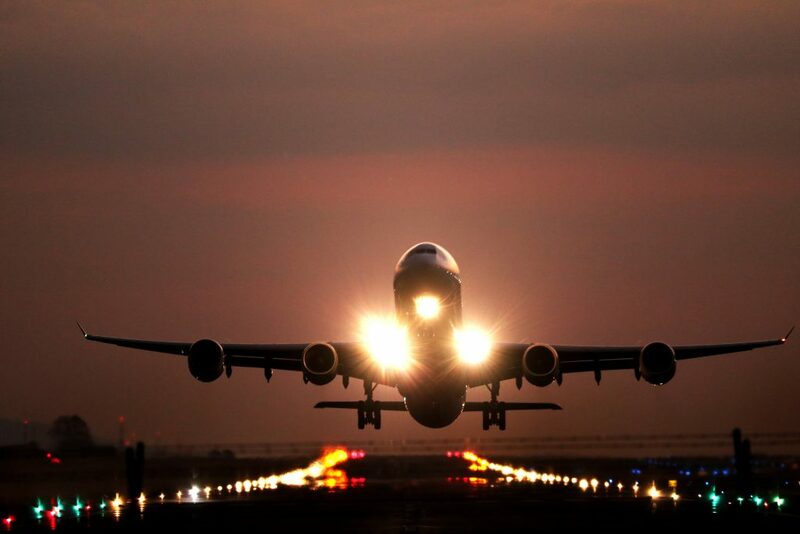 In this regards is best to just bring enough cash with you for the duration of your trip. So what options do tourists have? The first option that usually comes to mind is to bring enough cash into Iran to fund your travels. Exchange the money into local currency and keep an eye on your money whilst traveling. Obviously, there are some major downsides about this option. Mainly concerning safety. Besides the mental discomfort of cautiously looking after your cash all the time, you are at risk of getting all your money stolen. Because insurances often don’t cover stolen cash the worst case scenario could be to finish your trip shortly with a bitter taste. Now I need to say that Iranians, in general, are super kind and generous people, yet theft, unfortunately, is something that happens everywhere in the world. And Iran is no exclusion. Secondly, tourists can change their cash into Iranian Bank initiated Gift Cards. The good thing about these cards is that you can access the Iranian wireless banking system. Therefore you are able to pay almost everything nation-wide by card. The largest downside, however, is that banks exchange against the official exchange rate, which is always a lot lower compared to the free market rate. 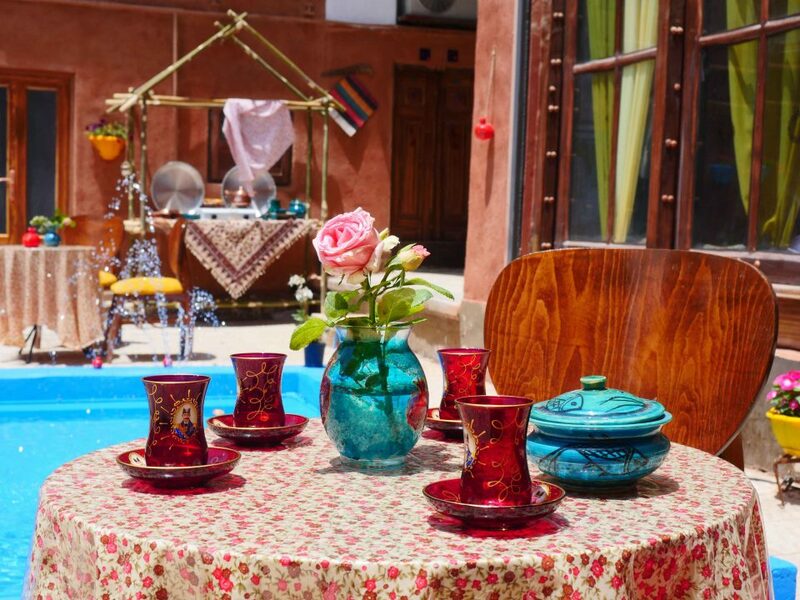 Besides giving poor rates, the banks also have a 5 million Rial limit, which basically means that you need to get several cards to finance your journey. And on top of that, the cards aren’t insured. So in the unfortunate case that you lose your cards or they get stolen, you still end up without money. Finally, there are prepaid credit cards available. That’s where the MahCard comes in. Against a one-time fee, the MahCard allows you to carry all your money on one personal card for the duration of your trip. Travel around Iran cash-free, against good market exchange rates. Moreover; if your cards get lost or stolen you’re just one phone call away from blocking the card. Keeping your money safe at all times. And finally, any left amount of money that you didn’t spend in the journey will be refunded in the currency you originally exchanged from. 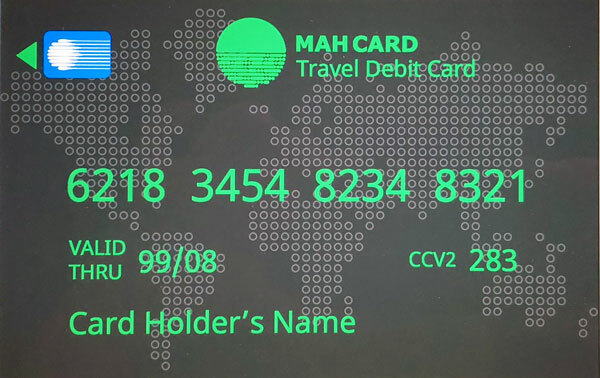 Making the MahCard the most complete and secure money option for travelers to Iran. Which foreign currency should you bring to Iran? Like in other countries, not all foreign currency is excepted in Iran. To be on the safe side it’s best to bring either Euro’s or Dollars. In addition, Australian dollars are also accepted. Because the exchange rate fluctuates daily and sometimes even several times a day it’s impossible to say something definite about the exchange rates. It’s, therefore, best to check the current rates at the time of exchange. For instance at this website that shows both the official rate and the market rate. Where to exchange your foreign currency? As mentioned before the foreign currency is best to be exchanged against market rates. 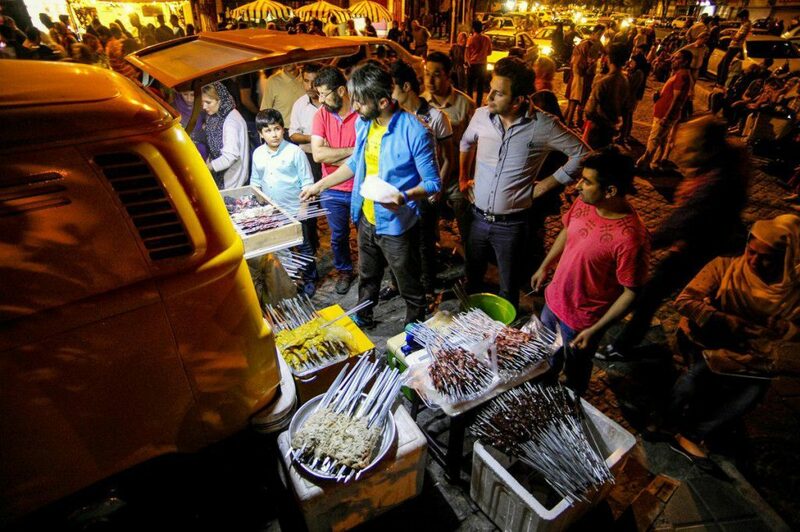 Licensed exchange shops, also known as ‘Sarafi’s’ (صرافی) in Iran can be found in every city. A quick search in google will lead you to shops in most cities. If not, hotel and hostel receptionists are usually happy to help you locate them. In Tehran, the shops around ‘Ferdowsi’ offer the best rates in town. To exchange foreign currency you’ll need to bring your passport. Keep in mind that the offices are closed on Friday and public holidays. And some of them close early on Thursdays as well. As money tends to run out in some exchange shops it’s generally better to exchange in the morning. To save yourself the trouble of exchanging money, again the MahCard is a great option. 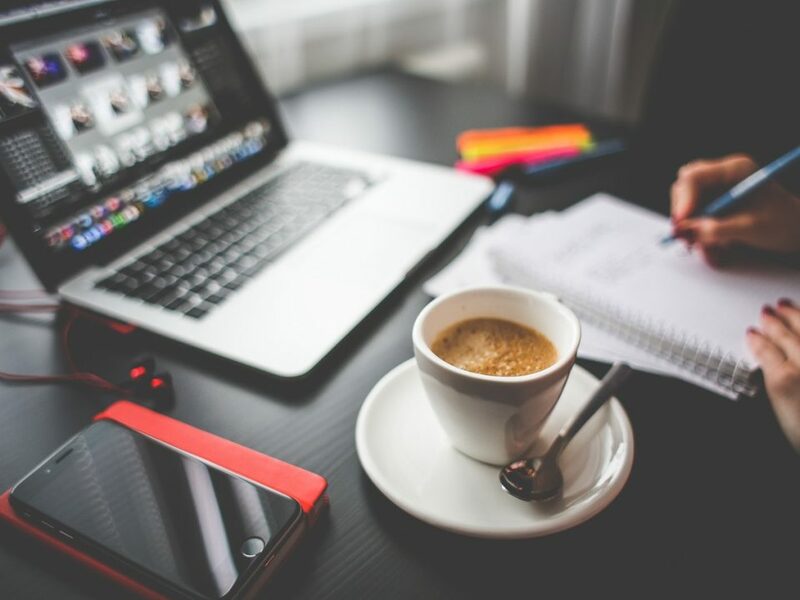 Taking care of all the administrative work, including exchanging your money and adding it to your card, the MahCard is super convenient to use. Curious to know how to get your own MahCard?! Find it out below. How to get your MahCard? Getting a MahCard is super simple! All you need to do is to create an account here and complete the registration process. As it generally takes up to three days to process your personal card it’s best to register minimal three days prior to your arrival. After registration, you’re practically good to go! The card will be sent to your accommodation on the day of your arrival. And after an appointment in your hotel, MahCard will charge the card for you. Feel free to visit MahCards’ frequently asked question page for answers to additional questions. Regardless of how you manage your money in Iran. You’ll need to have some money to get from the airport to the city directly after arrival. Either change a little money in the Sarafi on the second floor at the Imam Khomeini airport or pay for your taxi in Euro’s or Dollars. 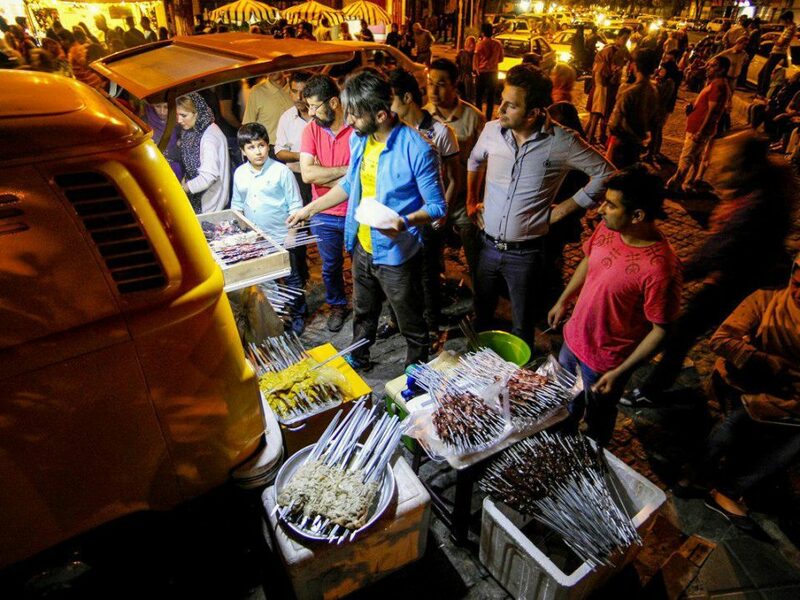 Exchange the rest at Ferdowsi Square in Tehran or let the friendly staff of the MahCard take care of it. Last but not least; a little Rial versus Toman reminder. 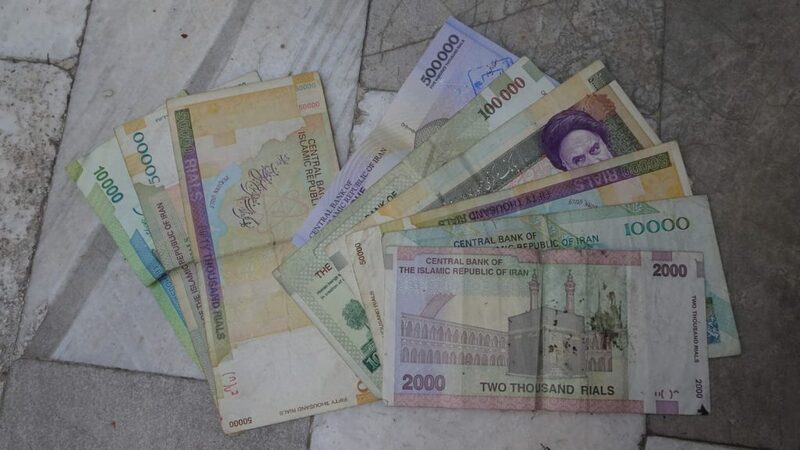 As earlier explained in this blogpost Rial is the official currency in Iran. But most Iranians refer to their currency as Toman instead. So besides the official exchange shops, bank, and official places, most of the time people will mention their prices in Toman. Although this might sound difficult, it’s actually not as hard as it seems. As one Toman equals 10 Rials, you just need to add a zero to the total amount. For instance; if you buy something for 20.000 Toman, you need to pay 200.000 Rials. But it does get confusing when the shopkeeper or taxi driver also doesn’t mention the ‘thousands’ anymore. For example, the 20.000 Toman ride will just be referred to as ’20 Toman’ but still equals 200.000 Rials.